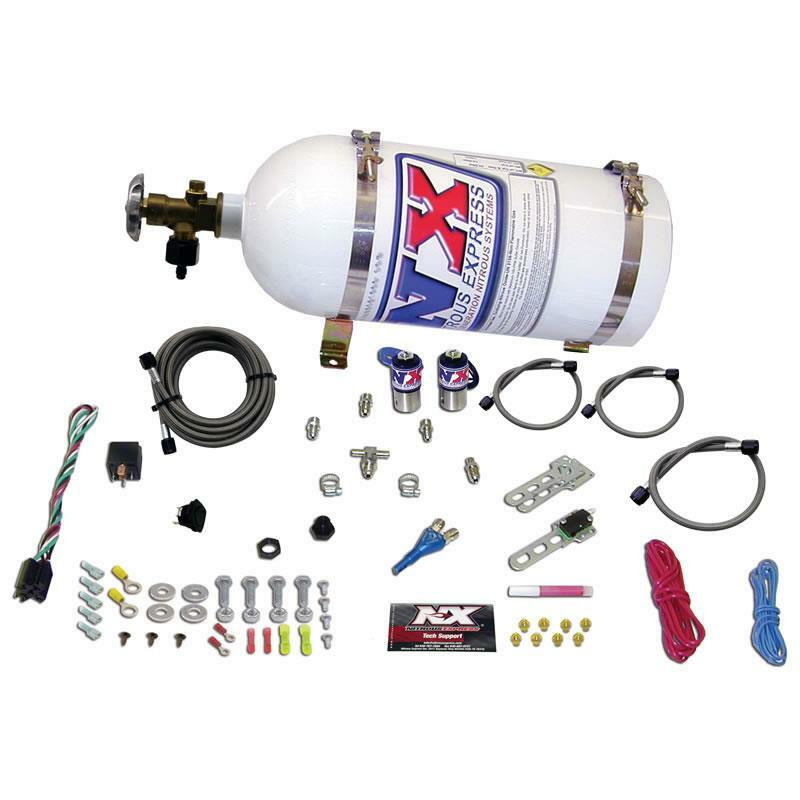 Nitrous Express Nitrous Kit - Instaboost EFI System - Dezod Motorsports Inc - Home of the automotive performance enthusiast since 2002. In the world of turbochargers things are not perfect. For drag racing applications you need a big turbo to make big power, but along with the big power comes a big problem, TURBO LAG! NX has the cure for turbo lag woes, the InstaBOOST turbo lag eliminator! This unique system comes on strong to eliminate that dreaded turbo lag but then ramps out the nitrous smoothly to let the mighty turbo do its thing. The end result is monster power with zero lag even with a HUGE turbo. This Digital model includes the finest Boost Reference Progressive Controller on the market. 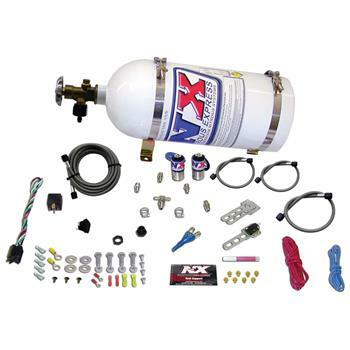 This controller can handle two stages of nitrous using either Boost or RPM based ramping.